MXC Capital Limited is a Guernsey based and incorporated permanent capital vehicle (“PCV”) quoted on AIM with a Board of experienced independent directors setting strategy. The Board is responsible for capital raising, making investment decisions, dividend policy and supervision of the Company’s capital markets business and the company’s Advisory Board. The Board is chaired by Peter Rigg, with Paul Guilbert and Meriel Lenfestey as non-executive directors, and Ian Smith as Chief Executive Officer. 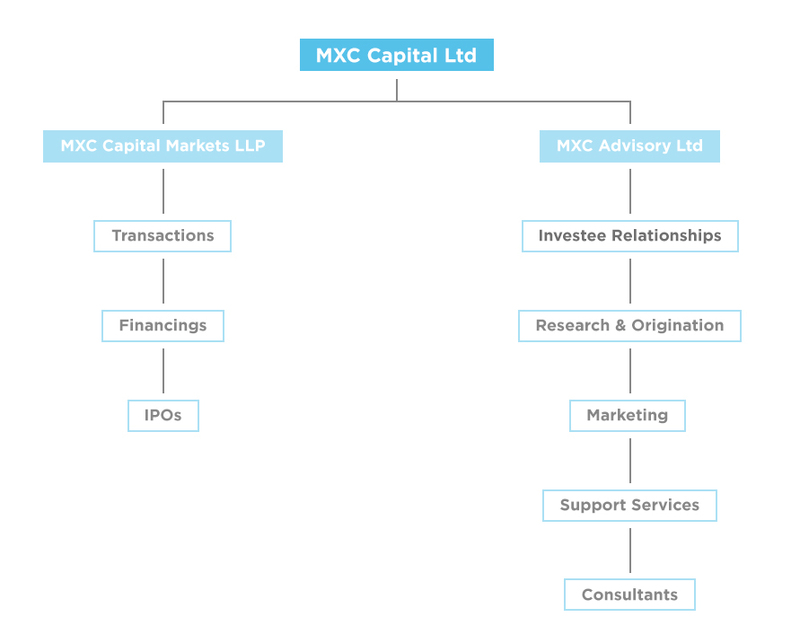 MXC Capital Markets LLP is the FCA regulated corporate advisory business, with Marc Young as Managing Partner, providing corporate advisory services to investee and other companies. MXC Advisory Limited is the advisory and consultancy division of the company responsible for originating investment opportunities, making recommendations on them and providing operational and strategic guidance to our investee companies. It comprises the Advisory Board which reports to its parent, MXC Capital Limited in Guernsey. The Advisory Board is chaired by Alex Sandberg.